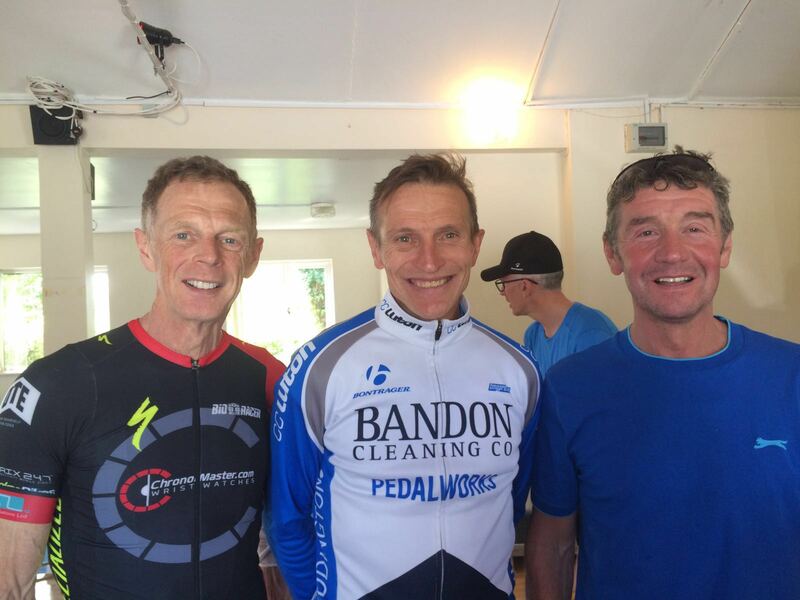 This was a 48 mile road race for over 50s and over 55s, race 3 of 7 of the prestigious Percy Stallard National Series. Just myself from TC had entered and what a beautiful day for a bike race in the lovely village of Bobbington near Stourbridge West Midlands. I had travelled down with Anne the day before, giving me time to do a recon ride of the circuit. As I am quickly learning these recon rides are very important so that I can plan my tactics to compensate for my lack of race experience. Training had gone well despite a crash on Thursday night and my numbers were suggesting that I should be able to compete with the best guys in my age group. Just one slight problem Steve Wilkinson the National Champion in my age group was also racing. The circuit was perfect for me, nice and hilly and I was determined not to make any school boy errors with poor positioning as I had done in my previous two races. Off we go and the first lap was at a decent speed with lots of small attacks that didn’t stick until the first big climb. On the climb the bunch split in two and I pushed my heart rate up to the max to ensure I was in the first bunch of 12 riders. It was worth the effort. Around we go again and feeling good I pushed hard on the big climb, it worked, at the top of the hill me, Steve Wilkinson (Team Wheel Gur) and Rich Edwards (CC Luton) had a 100M lead. Could we hold off the bunch for another 20 miles? Rich from the younger age group did most of the work with me helping out every now and then while Steve, who I hoped was about to crack, was doing very little. With about 4 miles to go Rich attacked and only Steve, who had obviously been holding something back, went with him (I guess that’s 40 years race experience for you). Still I wasn’t complaining as the bunch were miles behind and I was on track for my first ever podium. So it finished, Rich won with Steve second and me third. Steve and myself had finished first and second in our age group and apart from Rich we had beaten every other rider in the younger age group. What a fantastic day, no accidents, a great result and my tank was completely empty so I could not have given any more. Whilst waiting for the presentation I got talking to one of the marshals Wally Fowler, what an interesting man, he is 82 years old and holds three world records on the indoor track. 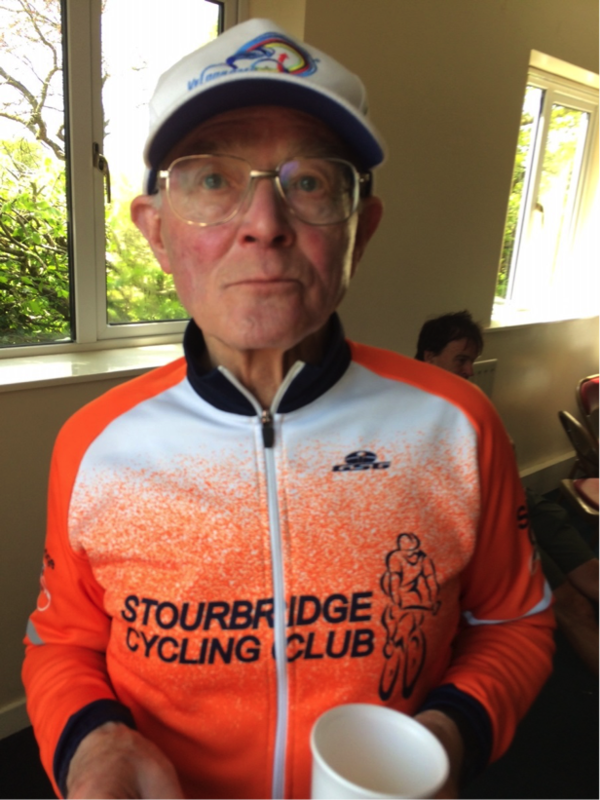 He told me he is really a sprinter but also holds the over 80s world hour record at 23 miles, Wow 23 mph at age 82, most of us will be glad to be alive at 82 never mind still training hard. Many thanks to Jonathon Davies and his team for putting on a very enjoyable event. This entry was posted in Results and Reports and tagged Graham Balshaw, Percy Stallard National Series. Bookmark the permalink.